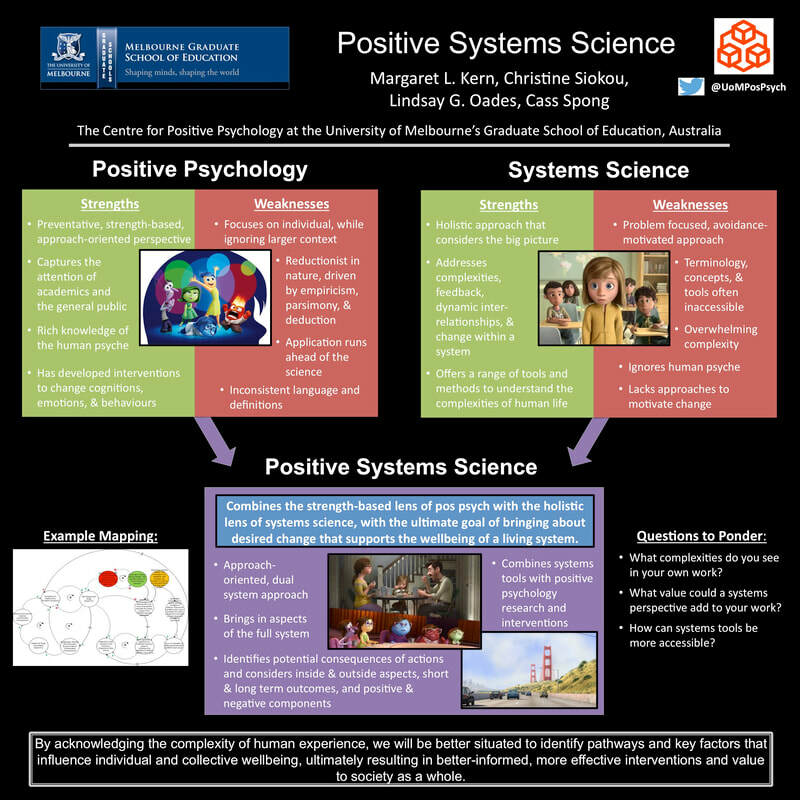 ﻿﻿﻿At the University of Melbourne's Centre for Positive Psychology, we are developing a new area, which we are calling Systems Informed Positive Psychology (SIPP). PSS combines the strength-based lens of pos psych with the holistic lens of systems science, with the ultimate goal of bringing about desired change that supports the wellbeing of a living system. Note: We initially called this new area Positive Systems Science, or PSS. As I have thought about this further, I believe that SIPP is more appropriate. It's really about applying systems science to positive psychology, not the other way around. However, due to the name change, you'll find inconsistencies on this website, due to this shift.